Dubai is the most populous city in the United Arab Emirates (UAE). It is located on the southeast coast of the Persian Gulf and is the capital of the Emirate of Dubai, one of the seven emirates that make up the country. Abu Dhabi and Dubai are the only two emirates to have veto power over critical matters of national importance in the country's legislature. Dubai is known for luxury shopping, ultramodern architecture, and a lively nightlife scene. Burj Khalifa, an 830m-tall tower, dominates the skyscraper-filled skyline. At its foot lies Dubai Fountain, with jets and lights choreographed to music. On man-made islands just offshore is Atlantis, the Palm, a resort with water and marine-animal parks. 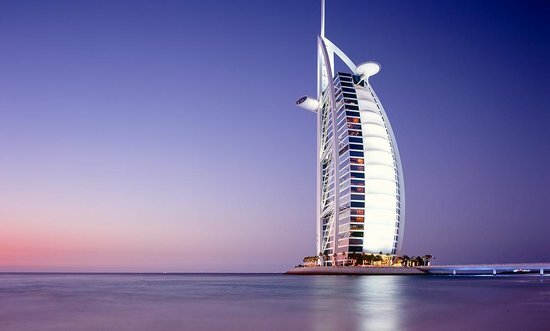 While Islam is the official religion of Dubai, the emirate is well-known for its tolerance and respect for all religions. Besides mosques, the city houses many other places of worship including churches and temples. Visitors and residents are expected to respect Islam and abide by certain etiquette and code of conduct, including the special rules that come into effect during the holy month of Ramadam. The law of Dubai guarantees the freedom of individuals from religious intolerance and hate crimes and underpins the UAE's policy of inclusiveness. The inflow of people from all over the world into Dubai makes it business hub which makes it open to any job opportunity. Are you looking for an opportunity to work in Dubai and you don't know how to go about it? Enat DigitalBiz can be of assistance in facilitating your working visa. The package comes with a job, 2years working visa which will be renewed by the employing company after 2 years, with free accommodation, free transportation and free feeding in hospitality fields. Hospitality: This is for people that are willing to work in any Hotels, anyone is eligible to apply for this post regardless of qualifications. Construction workers: In this profession, construction firms for engineers, electrical engineers mechanical engineers, plumbers, welders, and Air-conditional repairer are needed.